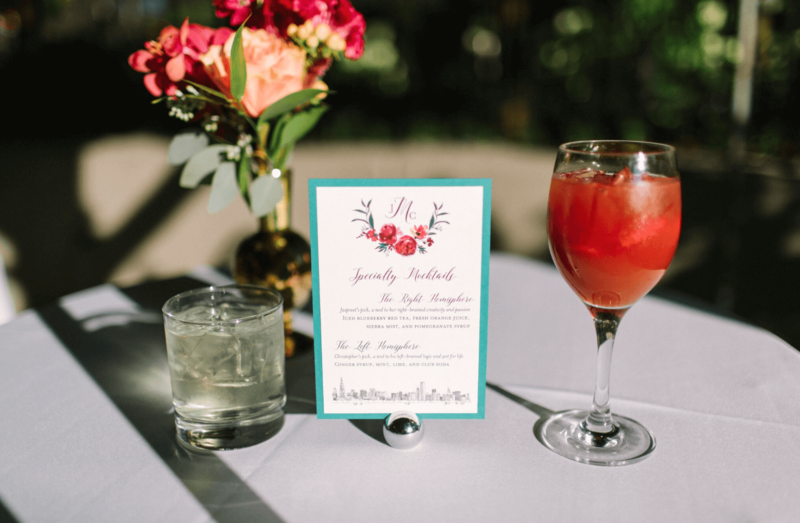 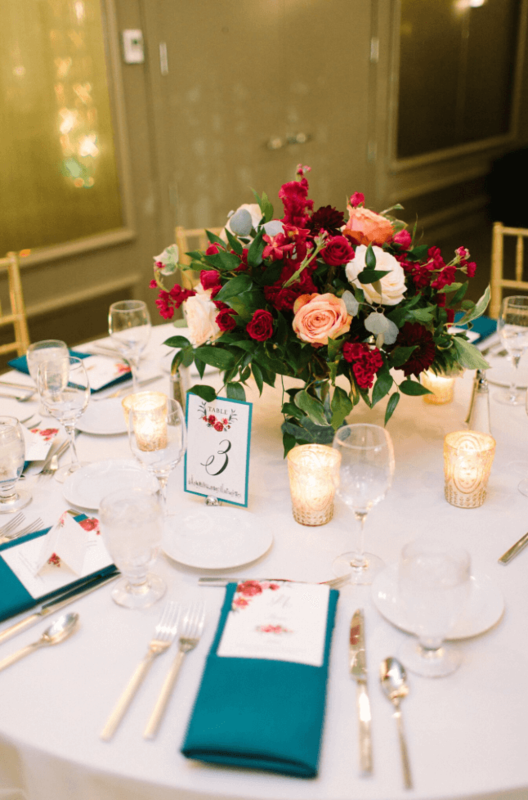 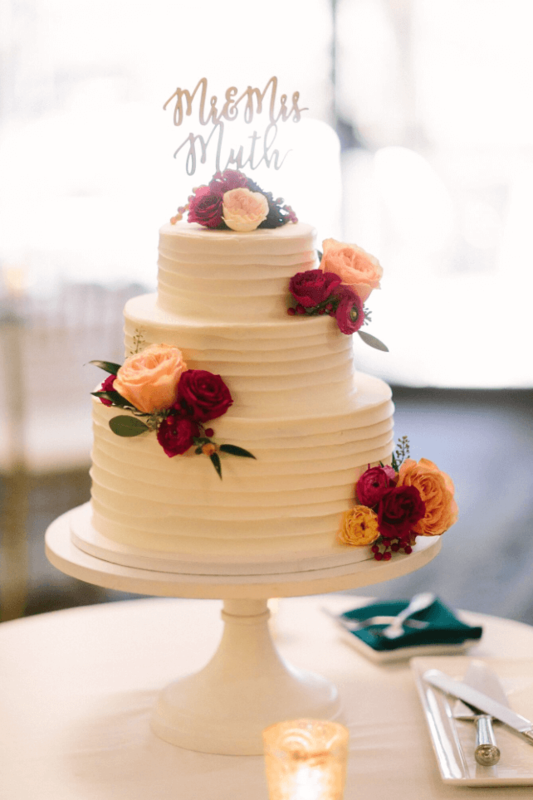 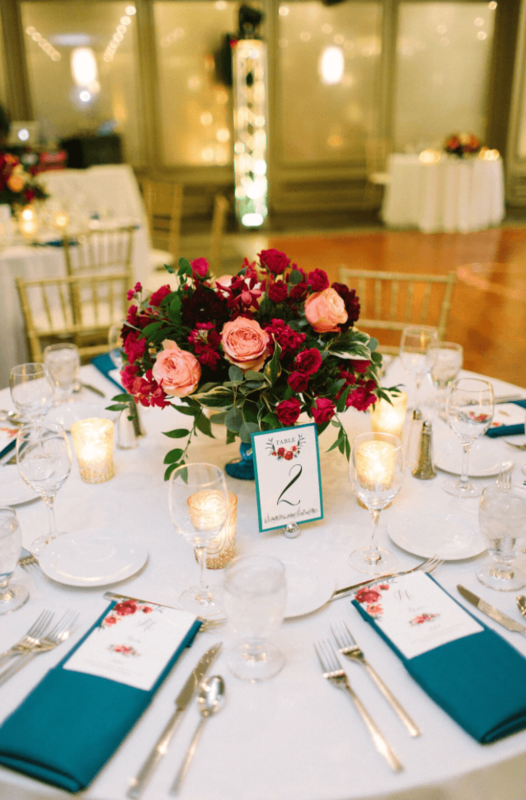 This East Bank Club Wedding was ahead of the color trend last year! 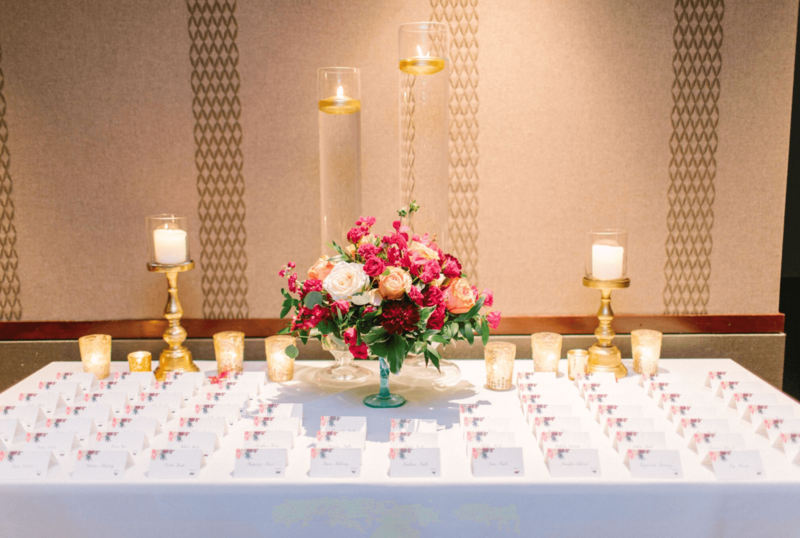 The venue is a hidden gem in Chicago- it’s intimate room is complimented by an awesome river front patio, perfect for cocktail hour. 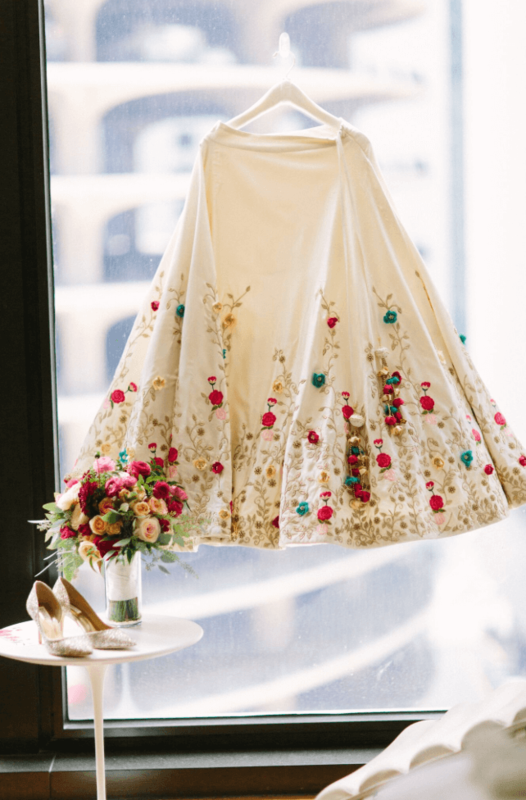 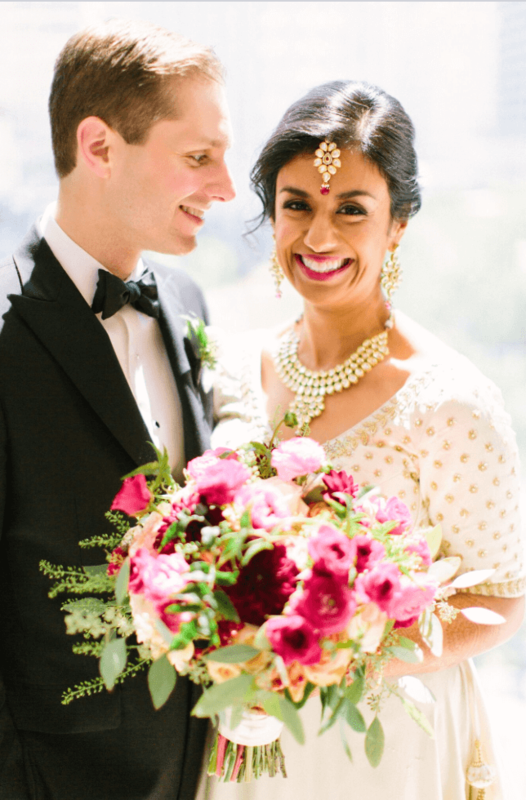 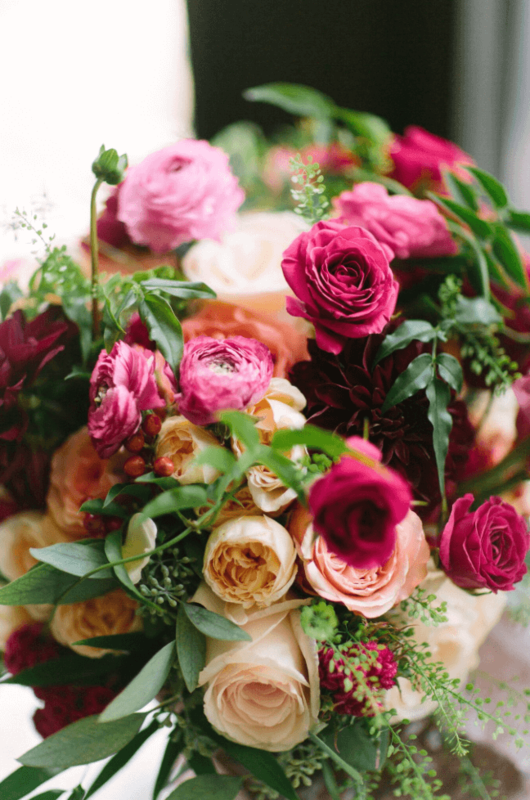 Jaspreet and Chris knew is was a great fit for their floral-inspired wedding. 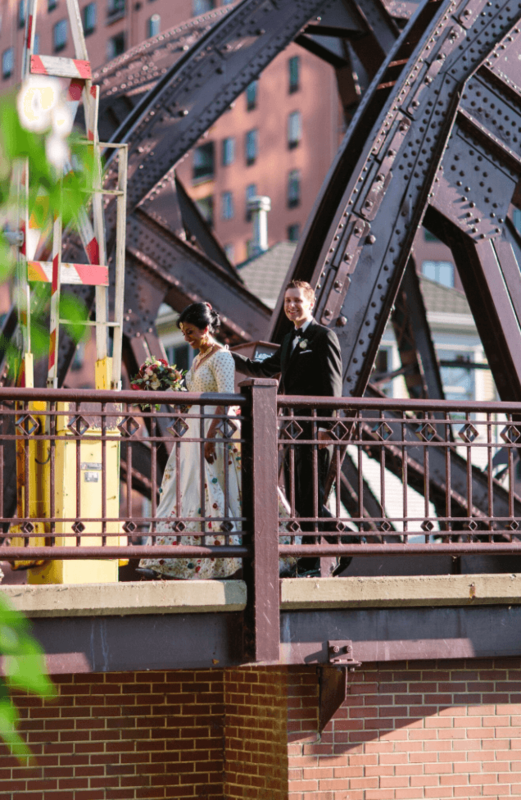 The day started with a ceremony at a church downtown, and then guests had a bit of break while the bride and groom went around for photos. 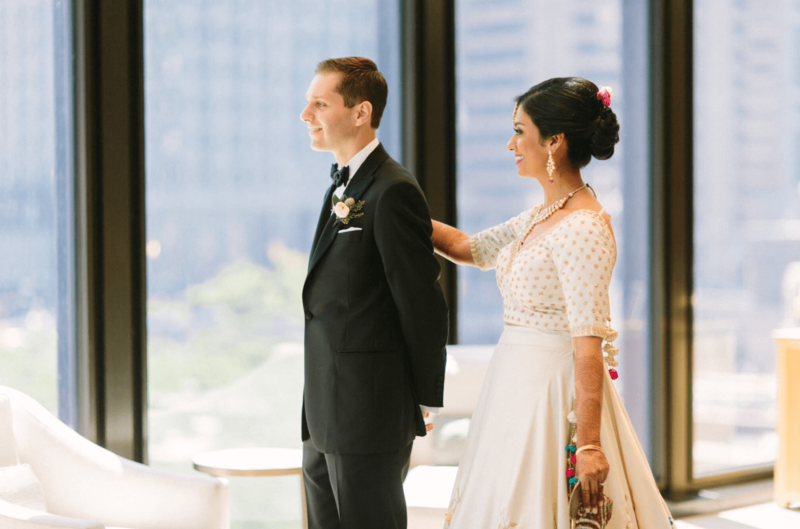 Once they arrived at East Bank Club, guests enjoyed the views of downtown Chicago with cocktails along the river. 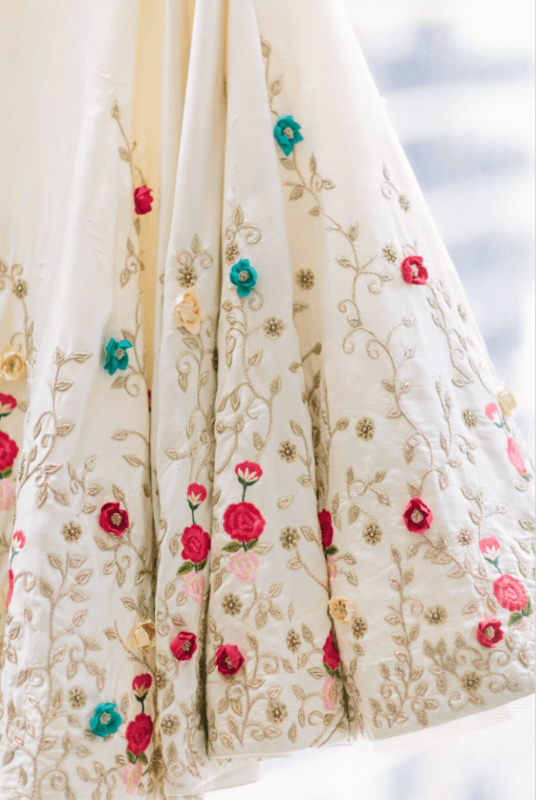 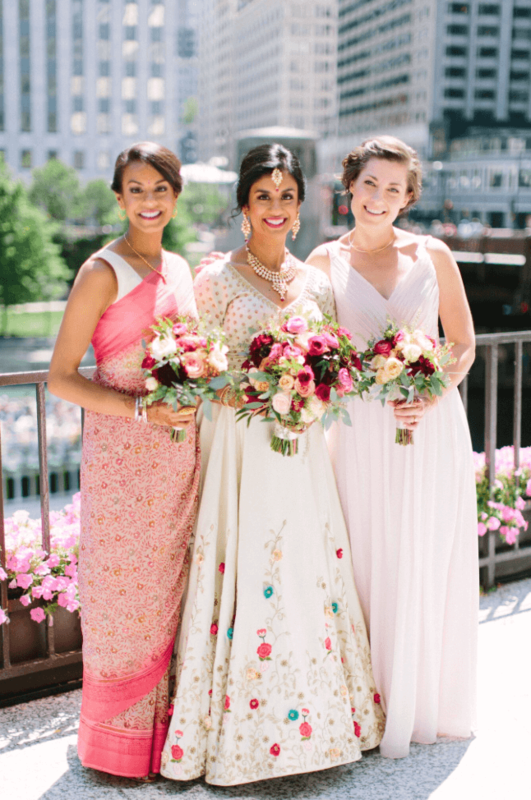 Jaspreet designed her Sari with a simple ivory fabric embroidered with delicate floral in various bright colors, which set the tone and inspiration for the day. 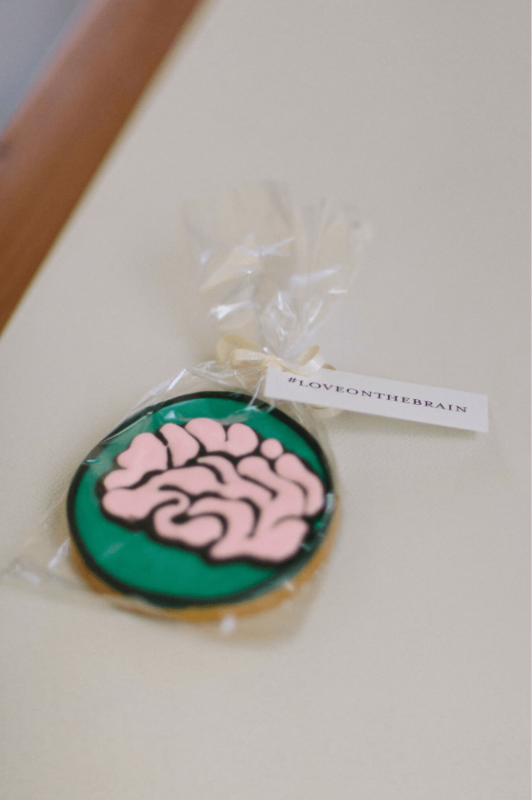 Both being students of neurology, we made sure to include odes to their education with “left hemisphere” and “right hemisphere” cocktails, and deliciously adorable cookies adorned with the sweetest looking brain we’ve ever seen. 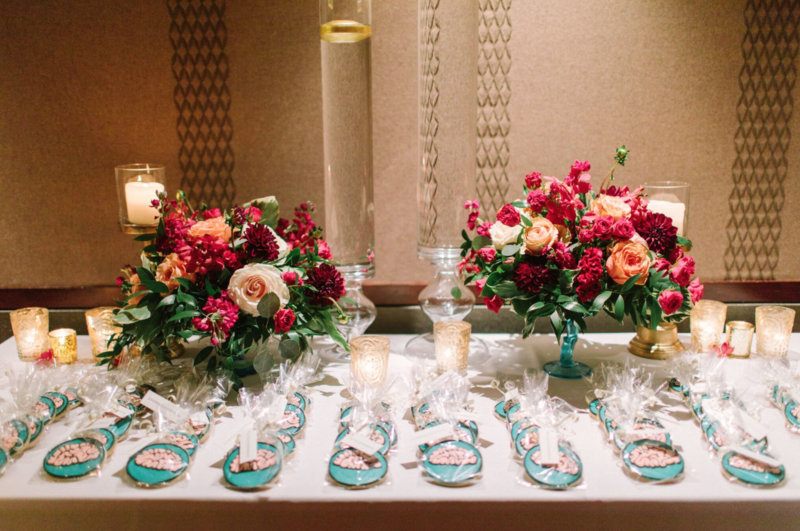 They were a very popular late night treat. 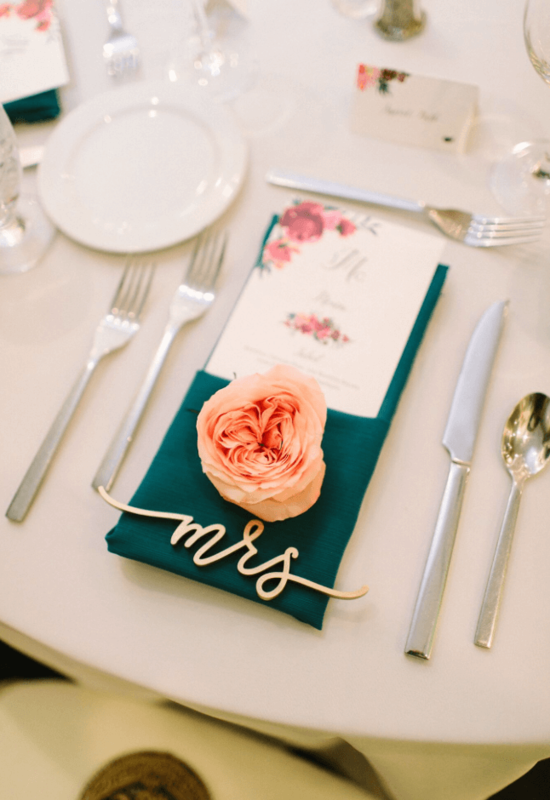 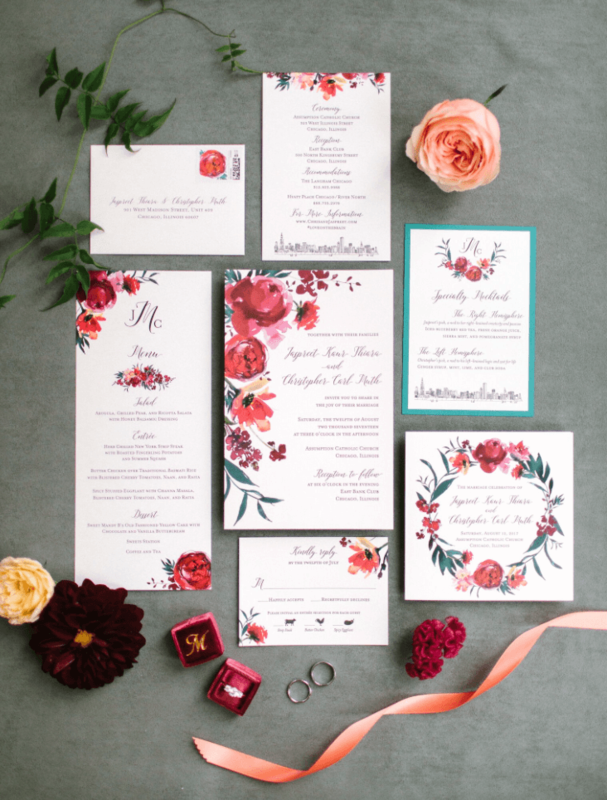 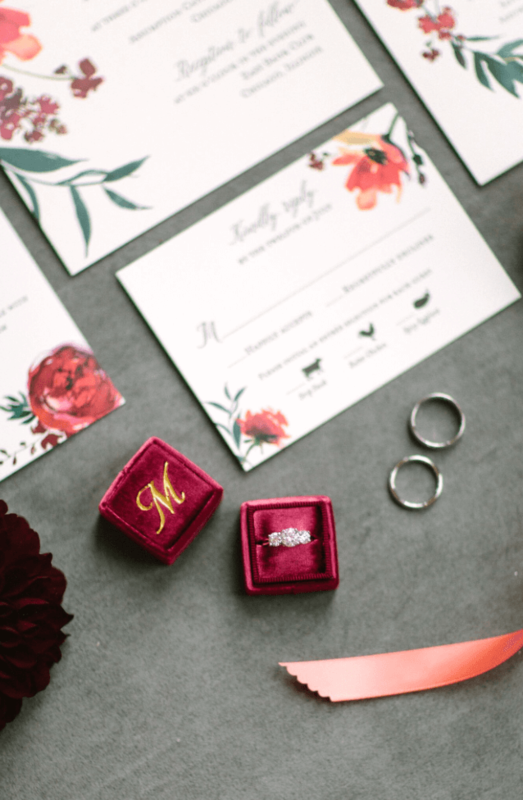 Our favorite detail of the day is no doubt the stationery that so perfectly reflects the floral inspiration and centerpieces.